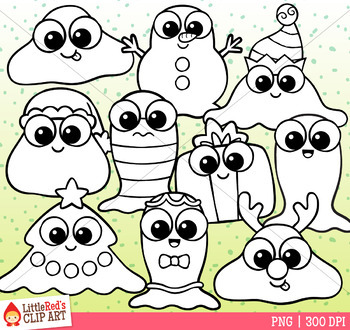 A cute set of Christmas themed slimes! 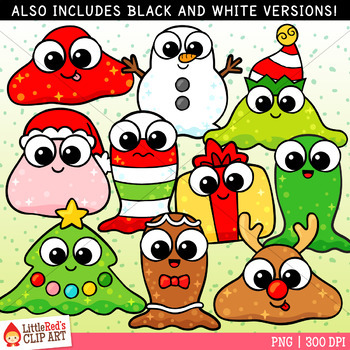 This clip art set includes slime graphics of Santa, reindeer, Christmas tree, gift, snowman, elf, gingerbread boy, and Christmas colors of red and green. This set is also available in our Crazy for Christmas II Clip Art Bundle!